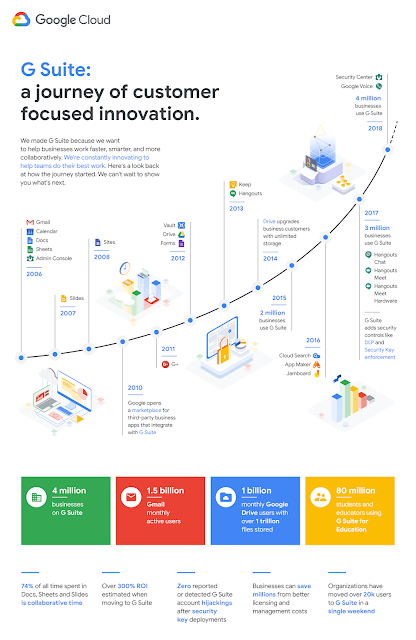 Over the last ten years, G Suite has grown to provide more tools, functionality and value to help businesses transform the way they work. The one thing that hasn't changed over this time, is price. Today, we are announcing two incremental list price updates to reflect this value. Starting on April 2, 2019*, G Suite Basic Edition will increase by $1 (from $5 to $6 per user/month) and G Suite Business Edition will increase by $2 (from $10 to $12 per user/month), or the local currency equivalent where applicable. These increases will apply globally with local market adjustments for certain regions. Pricing for G Suite Enterprise Edition customers will not change. *Note: For customers who sign up for G Suite Basic or Business editions from February 1, 2019 through April 1, 2019, the pricing changes will go into effect starting on June 1, 2019.